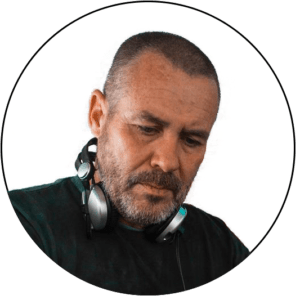 Born and raised on the warm streets of Durban, South Africa, DJ Butters, AKA Sean Butterworth, started his musical journey when he was 30, when he discovered house music whilst on a 2 year stint in London. It was then that he knew he wanted to be part of 'The Scene'. Having gained the reputation of having an ear for deep, yet funky sounds, for the past several years he has been resident DJ at The Table Restaurant and Bar in Plettenberg Bay. and, more recently, Upstairs Lounge and Bar in Port Elizabeth. To provide an outlet for his creativity, and due to the lack of good clubbing in Plett, Butters also regularly hosts his own night, "Hedonism", wherever he can find a venue.